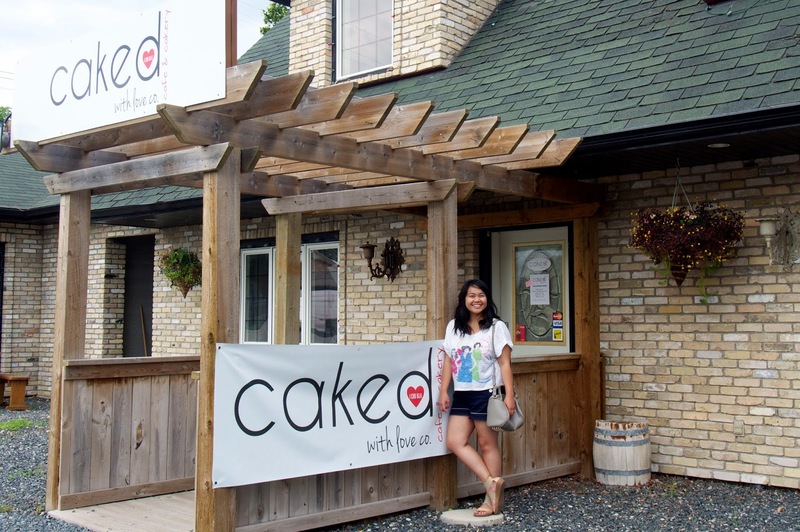 Just a quick post to feature a new bakery along Corydon called Caked with Love Co. With the abundance of dessert places in the city, what really prompted me to check out this new spot is the fact that they're owned by young Filipinos. 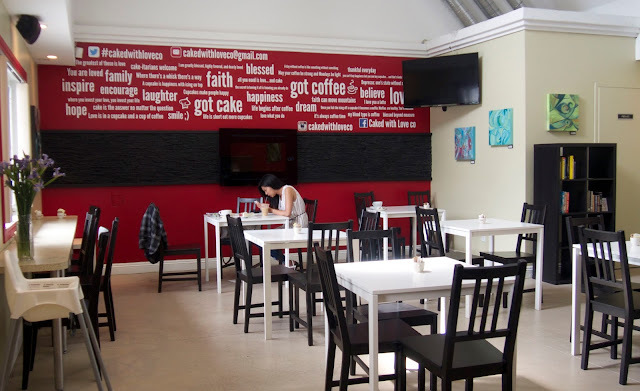 It's one thing to support local businesses; But of course, it's also another thing to see a Fil-Canadian like myself jump into the local bakery & cafe scene. 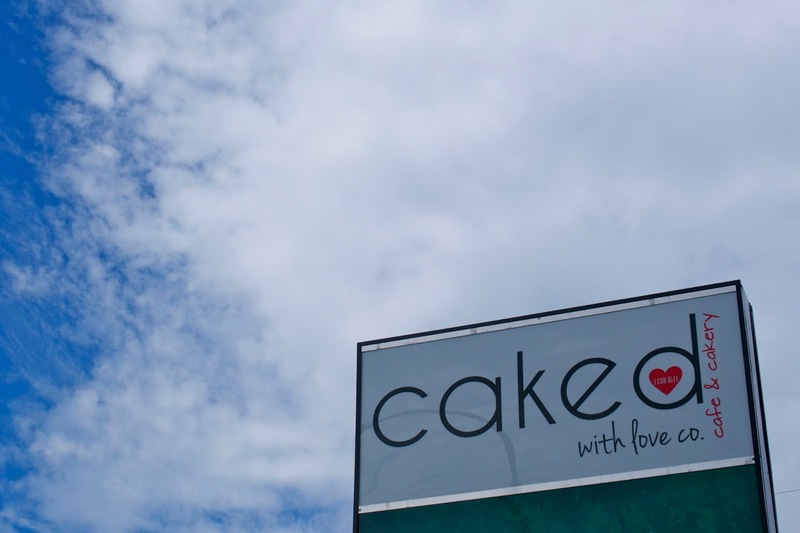 For Caked with Love Co., it's all about their gourmet coffee & moist cupcakes. They bake 3 flavoured cupcakes per day and also feature a cake by the slice (Red Velvet & Ferrero Rocher Cakes have been their best sellers). 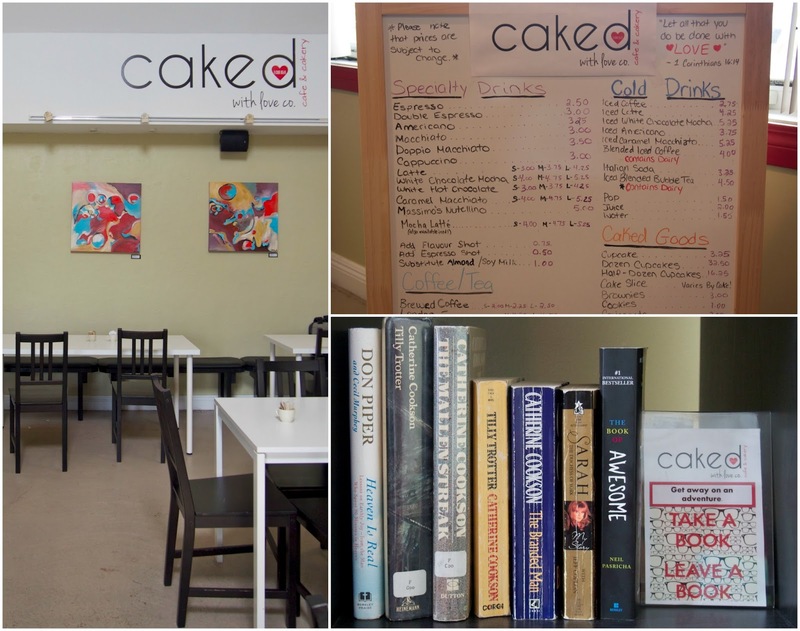 With the ample space and late hours they have, Caked with Love Co. is a great place to grab something sweet after lunch or dinner! Need it right now! So tasty... nom nom! :DD Adorable shirt, Sybil! Love that photo with the yellow car! Happy Monday! That cake looks so great! Send me a piece of that delicious cake!!! Amazing post, I really like your outfit. the cake looks like delicius! Yum, this place looks amazing! 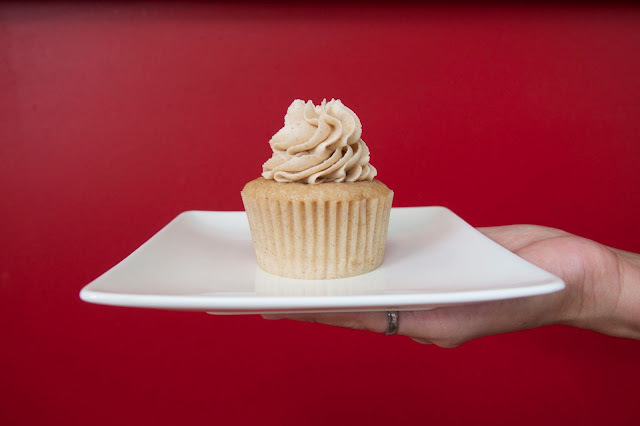 That cupcake looks delicious! Always good to support small businesses too! Mmmm, now I'm craving sweets. Daggummit girl, you did it again. Lol cute day outfit and gorgeous smile as always! It looks very nice place. Mniam! This is blog is so cute an I love it a lot, i might actually read this more often. I want that cake, so yummy...and your top is super cute !!! Love it ! I really like that shirt-I can't really tell what is on it but it looks really cool! I love your look! 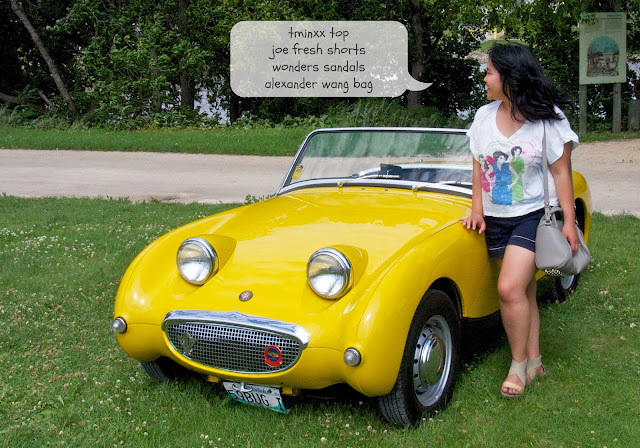 The blouse is fantastic and the car is amazing! Have a terrific week! The food looks and sounds very delicious - especially the Ferrero Rocher Cake! Your outfit looks so comfortable - I love the Wang bag! I need those shoes in my life. I also need a cupcake ASAP. I don't care that it's not even 8 AM. Cute outfit! And that cake looks to die for!!! Yum yum! Love food photos. You look great! Im following you now in Bloglovin, could you follow me back, pls? Thanks! 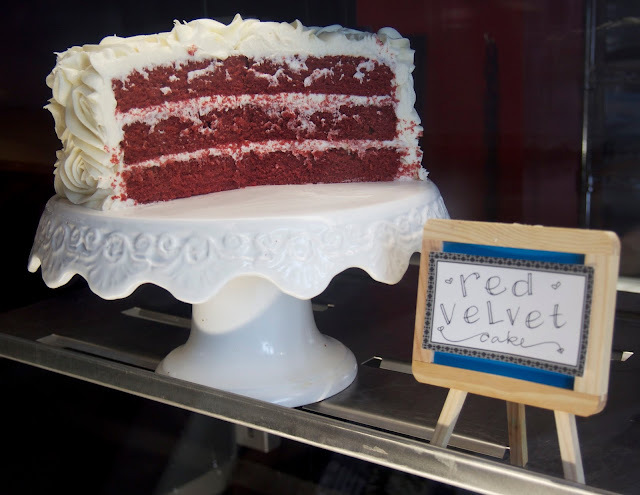 That red velvet cake looks PERFECT!!! uuuuh that cake looks so yummy!! Such a cute little shop and I LOVE your shirt! Such yummy looking cake and cupcakes! The cakes look so delicious! I need! i always like your setting..
Oh yum!!! I love red velvet cake! Lovely car and delicious cake!!!! Awesome post! I want cake so badly!! such a cute little car and red velvet cake is my favorite!!! Great post babe! Love your shirt ! This cake looks so delicious and I like your outfit as well! 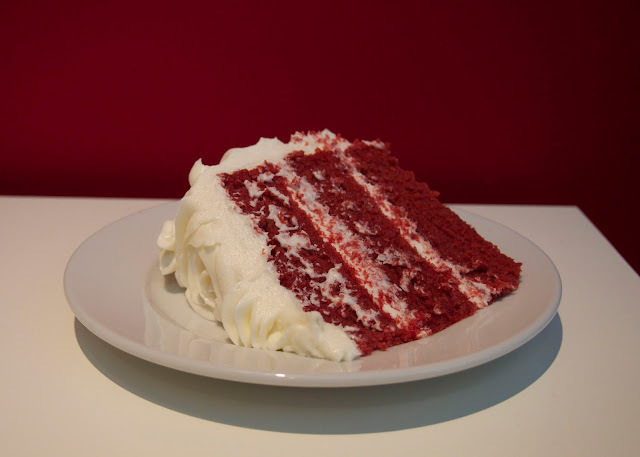 I seriously miss red velvet cake!! that yellow car is so cute! My sweet tooth is completely craving that cake right now!! You look so cute in this summer outfit as well. Love that tee! Gorgeous! Red velvet is my absolute favorite! What an absolutely delightful place! I will have to stop bu for a piece of that red velvet cake! Looks so good! 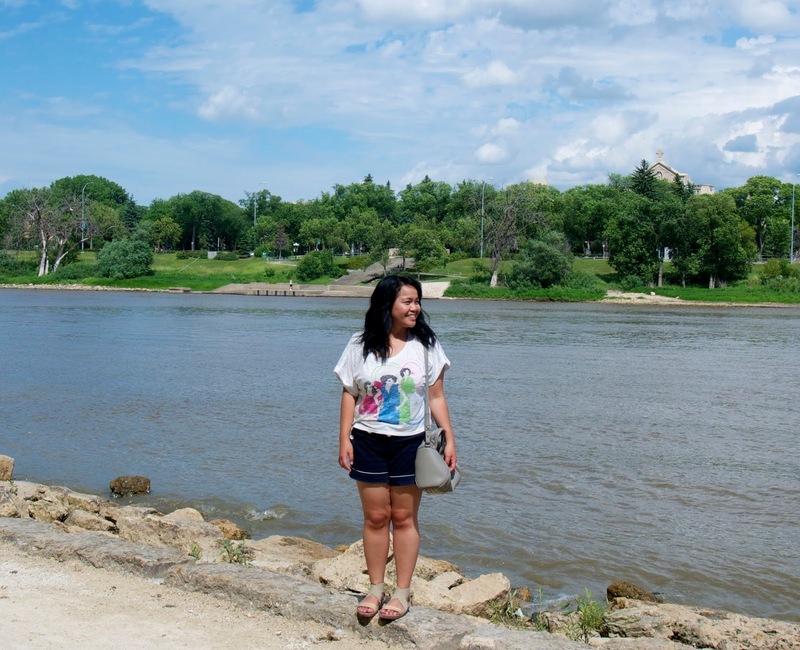 Your outfit is so cute and perfect for this hot summer weather! Cute pictures and appetizing cake! The yellow car is a piece of cake! By the way, yummy! Glad you had fun, looking lovely of course!! Nice look, love the last photo. I love your top! what a fun adventure! Such beautiful photos,dear!! love your outfit and that red velvet looks delicious!! That car is adorable (and that bag)! That cake looks SO GOOD! And I love your outfit - so cute! Ooh.. the cakes look so delicious! sybil i'm drooling over that red velvet cake right now! 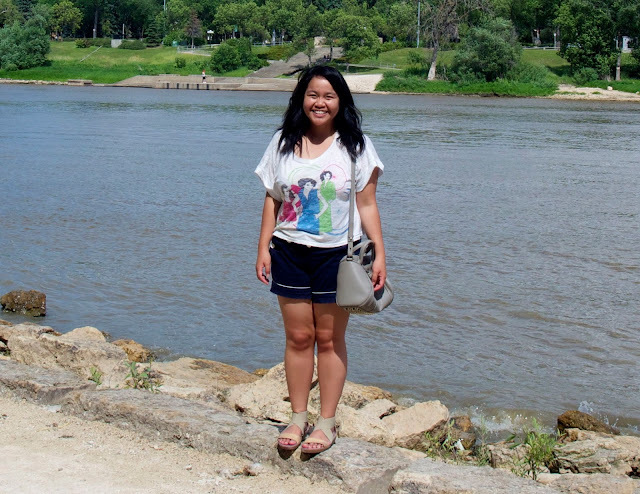 Great pictures, I like your shirt! OMG yummy! I love the red velvet cake!! Such a great post! SO CUTE lady! Ahh that red velvet cake!! I want some!